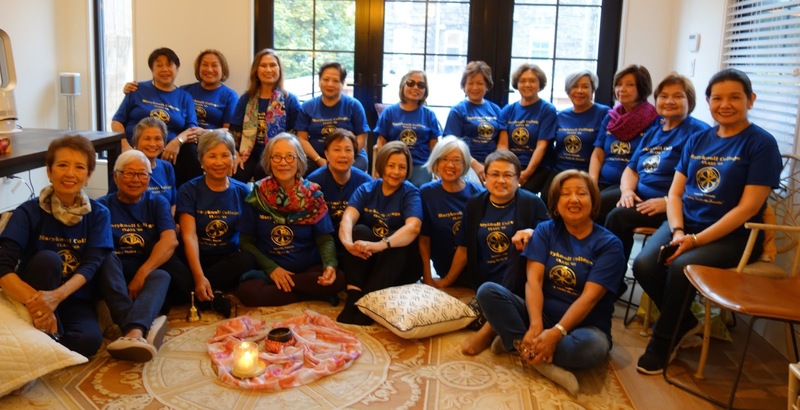 Aside from the two who lived in Toron­to, the women who showed up for our class reunion in Toron­to trav­elled from the Philip­pines, US, UK, and even Switzer­land — twen­ty-four women, col­lege class­mates, friends from Mary­knoll days. I hadn’t seen many of them in decades and had lost the threads of their life sto­ries. In many ways, they were strangers to me, but there were a few com­mon­al­i­ties that we shared. Most of us were trans­plants from the Philip­pines. Many had left Mani­la in the years fol­low­ing our 1969 grad­u­a­tion. Toron­to was glo­ri­ous that Octo­ber; the leaves were chang­ing and there was enough chill to make it a nov­el­ty for most of us. We enjoyed walk­ing to Chi­na­town and find­ing a good dim sum place (Drag­on City was a favorite). We poked around the shops and bought kitschy lit­tle things for gifts. Some of us took a hop-on-hop-off tour to get an overview of the City. We bought gourmet cheeses at St. Lawrence Mar­ket, then crossed the street for bot­tles of wine from LCBO. We had some won­der­ful wine-and-cheese par­ties, some of which stretched on until four in the morn­ing. And we talked — revealed lit­tle secrets: our bunions, thin­ning hair, cataracts, weight gain, arthri­tis, high blood pres­sure, wob­bly ankles and knees. A few revealed their bat­tles with can­cer. Hes­i­tant­ly we won­dered about what we would do when we get old­er and frail­er. This was new ter­ri­to­ry for us who now live in a cul­ture dif­fer­ent from the Fil­ipino cul­ture that we grew up in. We hoped we would remain as strong and inde­pen­dent for a long time. We hoped not to bur­den our chil­dren. The post-grad­u­a­tion sto­ries that emerged fas­ci­nat­ed me. Some of the sto­ries were some­what hum­drum, like the class­mate who went to the East Coast in search of her inde­pen­dence and who end­ed up mar­ry­ing a pro­fes­sor. They’ve led lives of aca­d­e­mics for decades now. Anoth­er class­mate spoke of how she and her hus­band left Mani­la dur­ing Mar­tial Law. They went to Guam where her husband’s par­ents lived. They were warm­ly wel­comed in Guam. She and her hus­band found work eas­i­ly. Even with five chil­dren (she had the help of a nan­ny), she worked in the pri­vate and gov­ern­ment sec­tors. They fit into Guam’s diverse pop­u­la­tion and were active mem­bers of the com­mu­ni­ty. The only down­side, she could come up with, was being iso­lat­ed from her friends in the Philip­pines. Anoth­er friend talked of mov­ing to the East Coast with her hus­band where she decid­ed to go back to school to get train­ing in the health field. At Mary­knoll, she had been famous for being a “Lanai Girl”, one of a group of girls who hung out in the lanai or patio area to watch the cars and world, com­ing and going – not aca­d­e­m­i­cal­ly inclined in oth­er words. 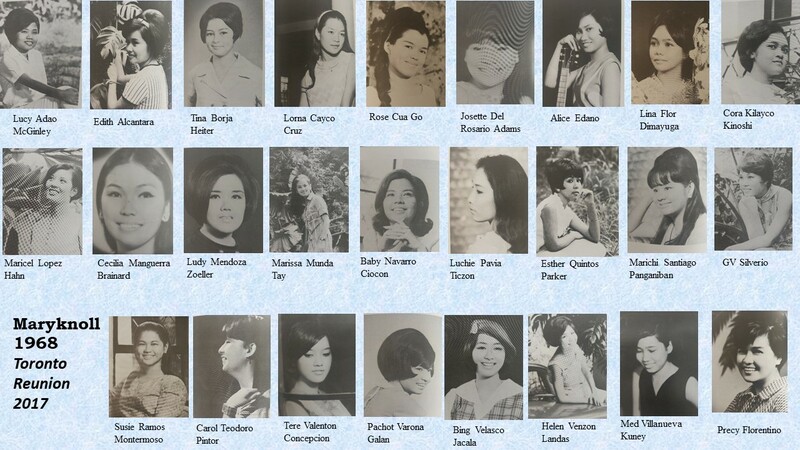 The Lanai Girls were the first to know of any gos­sip in school. We had a good laugh when she con­fessed to study­ing hard to keep up with her young class­mates. She was sur­prised and proud to pull “As” in her class­es. She went on to describe her work with the elder­ly and sick in nurs­ing homes, how phys­i­cal­ly dif­fi­cult that work was — she had to lift patients on to beds; she had tend to their sores — but the work was deeply reward­ing, she swore. Anoth­er class­mate whom I’ll call Luisa, shared a more exten­sive report of her life. The daugh­ter of Chi­nese immi­grants to the Philip­pines, she had been a Mani­la res­i­dent with­out the rights of Fil­ipino cit­i­zens until Pres­i­dent Fer­di­nand Mar­cos issued a pres­i­den­tial decree in 1974 that allowed the con­ver­sion Chi­nese res­i­dents and immi­grants with appro­pri­ate doc­u­men­ta­tion to become cit­i­zens. Luisa had been a Fil­ipino cit­i­zen for five years before she and her hus­band and chil­dren migrat­ed to the US. 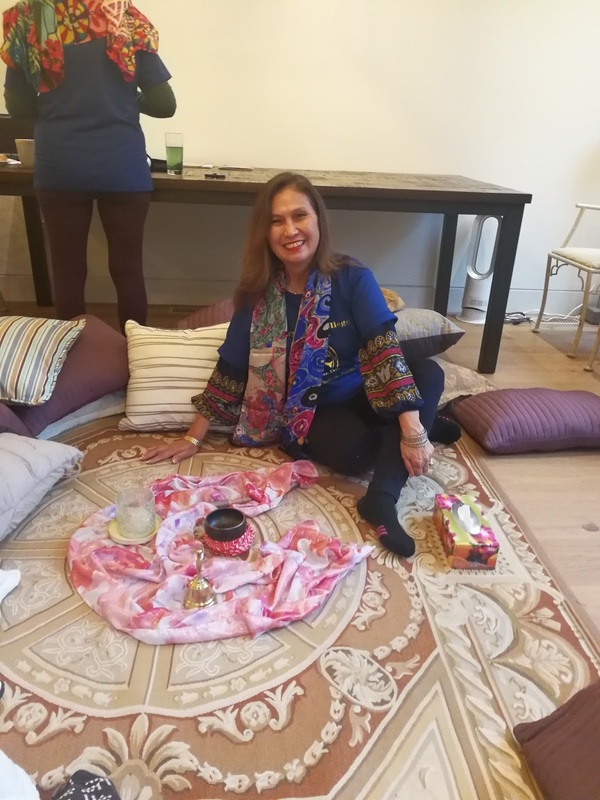 She had no rel­a­tives in Cal­i­for­nia where they set­tled, and while they had some friends, those friends were busy with their own fam­i­lies and lives, leav­ing Luisa and her hus­band with­out a sup­port sys­tem. As time went on how­ev­er, she felt at home in Amer­i­ca because of the kind­ness of neigh­bors. Once she had been locked out of her house and her neigh­bor was very help­ful. Work­ing at her first job in Cal­i­for­nia also helped make her feel part of the “melt­ing pot” as she called it. As one who had expe­ri­enced dis­crim­i­na­tion by Fil­ipinos in the Philip­pines, she revealed sim­i­lar expe­ri­ences in the US. Once, Luisa was in line in the Post Office, when a young woman claimed she took her place in line. Calm­ly, Luisa remind­ed her of the US Con­sti­tu­tion, which silenced the woman. In anoth­er inci­dent, a Black stu­dent mim­ic­ked her accent. She ignored him but called him for a pri­vate meet­ing where she talked to him about dis­crim­i­na­tion. That end­ed the student’s pranks. 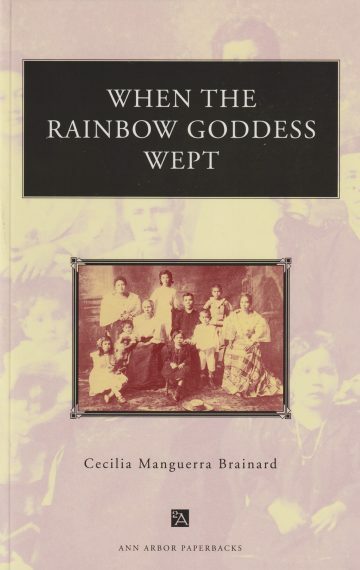 But she con­fessed that her great­est pain came from anoth­er Fil­ipino who often made deroga­to­ry com­ments about the Chi­nese in the Philip­pines and who manip­u­lat­ed office pol­i­tics to get pro­mot­ed at Luisa’s expense. 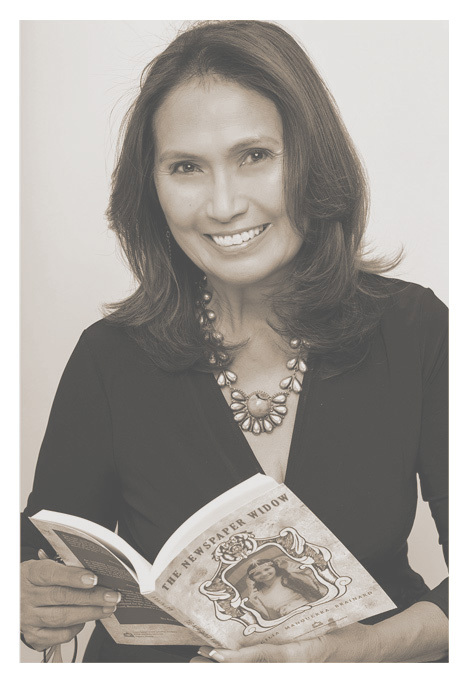 “I did feel hurt, but it was main­ly because he did not accept me as a Fil­ipino,” Luisa said. Despite these neg­a­tive expe­ri­ences, Luisa recalled meet­ing a woman in church who wel­comed her as if they were long-time friends. This woman, who worked with the deaf and hard-of-hear­ing at the pub­lic school sys­tem, impressed Luisa with her humil­i­ty and work ethics. In fact Luisa was then inspired to trans­fer teach­ing from a pri­vate school to a pub­lic school. Before this encounter, Luisa had only heard of how bad the pub­lic schools in Los Ange­les are, but she real­ized this was not true, that this was dis­crim­i­na­tion at its worse. It came as some kind of sur­prise to me that my sto­ry was no dif­fer­ent from those of my class­mates. I had always thought I was unique and spe­cial, that there was only one ME in the entire uni­verse. But after lis­ten­ing to how my friends had to adjust to their new lives away from the Philip­pines; how they missed their fam­i­lies and friends; how, in Amer­i­ca, they had to go back to school or get train­ing to find a pro­fes­sion; how they jug­gled fam­i­ly and work; how they achieved the “Amer­i­can Dream” of own­er­ship (the house, the cars, etcetera); how rela­tion­ships with their hus­bands some­times failed; how they raised their chil­dren; and how they were now look­ing at the next chap­ter of their lives (their last years) and pray­ing they can do so inde­pen­dent­ly and grace­ful­ly — well, that is also my sto­ry. After grad­u­at­ing from Mary­knoll, I migrat­ed to Cal­i­for­nia in 1969 as a UCLA Film stu­dent. Soon after, I mar­ried the for­mer Peace Corps Vol­un­teer whom I had met in the Philip­pines. He was in law school, and I worked at an exec­u­tive sec­re­tary at McCormick-Schilling in San Fran­cis­co. Even though we didn’t have a lot, we nev­er felt hope­less. We were cer­tain that our small apart­ment across the Levi Strauss Fac­to­ry in the Mis­sion Dis­trict was tem­po­rary. In fact we found San Fran­cis­co ener­vat­ing and inter­est­ing with its Flower Chil­dren, Hip­pies, and anti-Viet­nam War protests. After my hus­band earned his law degree and passed the bar, we moved to San­ta Mon­i­ca in South­ern Cal­i­for­nia. My hus­band worked in down­town LA and I returned to grad­u­ate school to com­plete my stud­ies in film. While work­ing on my movie projects I real­ized that film is a high­ly col­lab­o­ra­tive and expen­sive medi­um. It con­found­ed me that I would have an idea in my head in the begin­ning but the end prod­uct would be so dif­fer­ent. Dur­ing this time I had to respond to my grow­ing family’s demands, and final­ly I decid­ed to aban­don the idea of becom­ing the “great film mak­er.” I chose to take care of my fam­i­ly. When the chil­dren were old­er, I worked part time in fund rais­ing. One Christ­mas, my hus­band gift­ed me with an IBM elec­tric type­writer (this was pre-com­put­er times). He used to see me at night, writ­ing in my jour­nal. His gift inspired me to make arrange­ments to have a col­umn in Philip­pine Amer­i­can News. I also took writ­ing class­es at UCLA Extension’s Writ­ers Pro­gram. These class­es opened anoth­er door for me. I dis­cov­ered that the writ­ing field offered me the oppor­tu­ni­ty to express myself artis­ti­cal­ly. Writ­ing suit­ed my tem­pera­ment per­fect­ly. How sim­ple yet pro­found that state­ment is. I have been writ­ing ever since, and that activ­i­ty has grown to include edit­ing and pub­lish­ing. I’ve enjoyed some suc­cess­es, but I’ve also had my share of rejec­tions. I’ve had to work hard to get my works pub­lished, to make a name in the lit­er­ary field. Some­times, the sit­u­a­tion is dis­cour­ag­ing, but I plow ahead. This is my work. This is what I do. If it’s impor­tant to me (and to my com­mu­ni­ty), I’ll find a way. And while this pro­fes­sion­al strug­gle has been going on, I also dealt with fam­i­ly mat­ters, just like my friends who raised their chil­dren, ush­ered them to their inde­pen­dence, and now hope that their gold­en years will be filled with God’s ten­der mer­cies. In Toron­to, we were sup­posed to go to salmon run but the weath­er was bad and this didn’t pan out. But the salmon run plan was enough to nudge a mem­o­ry to the sur­face of my mind. One sum­mer back in the ‘80s my fam­i­ly and I had vis­it­ed Alas­ka. My hus­band and I and our three boys drove our Vol­vo north to Belling­ham, Wash­ing­ton, where we left the car in a long-term park­ing lot. We took the Alas­ka Marine High­way, the fer­ry sys­tem ran by the State of Alas­ka. Because of its pop­u­lar­i­ty, it hadn’t been easy to get cab­in reser­va­tions. It was worth the effort because it was a great way to see Ketchikan, Juneau, Skag­way, Sit­ka and oth­er places. We’d get off the boat spend one or two nights in a place and do our sight­see­ing. My hus­band want­ed to see North­ern Lights, glac­i­ers and his­toric sites. My agen­da was dif­fer­ent. 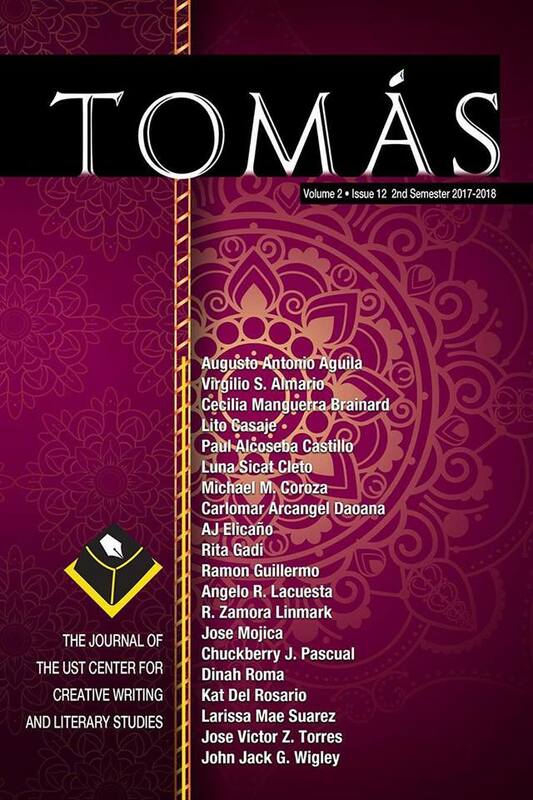 I had read about Fil­ipino Old Timers work­ing in Alaskan salmon fish­eries and I want­ed to see them or at least find evi­dence that they had been there. I want­ed to learn more about Fil­ipinos in Amer­i­ca. I didn’t come across Old Timers but did see young Fil­ipinos work­ing in super­mar­kets and restau­rants. And we had a taxi dri­ver regale us with his sto­ry of being mar­ried to a Fil­ip­ina and how her entire fam­i­ly from the Philip­pines now lived with them. What hap­pened? he said in a camp way. In Juneau we stum­bled upon Mani­la Square, a small lit­tle park with the stat­ue of our own Nation­al Hero, Jose Rizal, the sight of which made me proud. It make me feel, that, yes, Fil­ipinos did have a his­to­ry in Alas­ka and in Amer­i­ca. One night the boat’s cap­tain woke all of us with an announce­ment that the North­ern Lights were in the sky, and we trudged out and gasped at the undu­lat­ing waves of col­or­ful lights that filled the sky. Dur­ing the trip we saw glac­i­ers and had our fill of Gold Rush infor­ma­tion and sites. The pho­to­graph of the long line of men strug­gling up Chilkoot Pass remains vivid in my head. Once we pic­nicked in a park with a small creek, and that rib­bon of water teemed with salmon, salmon so thick, it looked like you could walk on them. A boy, around nine-years-old, put his hand in the water and pull out a fish, “Look, Ma,” he yelled, hold­ing up a large squirm­ing salmon. Every riv­er and creek shim­mered sil­ver, pink, and red with salmon that swam fierce­ly upstream. Some strug­gled up steep rivers, then slide down, and they’d go right back and fight to go upstream. There was no stop­ping them. I learned that the salmon want­ed to return to the grav­el beds where they had been born, and there they would spawn, after which they would die. As it was some of the fish were already bat­tered, with parts of their skin in tat­ters from their ardu­ous jour­ney, four thou­sand miles long in some cas­es. It was the first and only salmon run I had ever seen and I would nev­er for­get the sight of those fish. It was their spir­it most of all that stayed with me. In Toron­to, after hear­ing my friends’ sto­ries, I thought: we are like the salmon doing the run. If you pull your­self away and look at all of us from afar, we are salmon jour­ney­ing upstream, shim­mer­ing sil­ver, pink, and red, look­ing enough alike, swim­ming upstream, brave­ly, fero­cious­ly. The only dif­fer­ence between us and the salmon is that the salmon will return to the grav­el­ly beds from where they were born, and there they will spawn, then die. Many of my friends and I, on the oth­er hand, will not return to our orig­i­nal grav­el­ly beds. We will have to impro­vise as we face this next hur­dle in our lives.